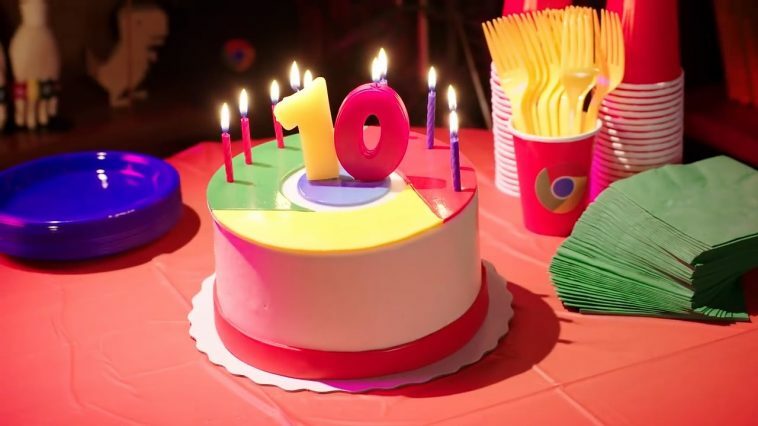 At the start of the month Google chrome celebrated its 10th birthday, but its users were the ones receiving gifts as the software rolled out an update like never before. 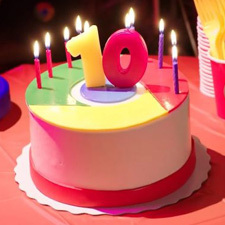 Keen-eyed users of the browser will already be aware that Google implement updates to Chrome every 6 weeks but, like a proud mum celebrating their baby’s decade of existence, Chrome’s birthday update went all-out. The most obvious change for users was the software’s new look. To welcome in their 11th year with subtle changes Chrome refreshed their look, opting for softer shapes, updated icons and a re-imagined colour palette. Bringing a fresh feel to the brand whilst remaining completely recognisable. But it was more than just an aesthetic overhaul as the browsing system entered double digits; a number of bigger changes were implemented behind the scenes all with the goal of supporting users’ productivity levels. Clearer tab icons were introduced, helping all us secret tab hoarders to quickly identify and distinguish between multiple tabs. And, as browsing on mobile devices shows no sign of slowing down, optimisation for handsets was another effective move. This even included optimisation for iOS, adjusting the location of the toolbar to help users and rivalling iOS user’s current go-to search engine, Safari. As always with Google, ease of use and user safety was prioritised. The update helped to improve the accuracy with which the service can fill in passwords and other pieces of personal data, even offering to generate safe passwords when the user sets up a new account- saving us from going for password123 yet again. These new passwords, optimised for safety, will now be saved to users’ Google accounts and memorised. The omnibox also got itself a makeover to mark the special occasion. While you may not be familiar with the name, you’re most definitely familiar with the tool- the omnibox is the box at the top of any Chrome tab which combines the traditional address bar and search bar into one handy place. In this, the 68th update, the omnibox service has been sped up, allowing eager searchers to get the results they are looking for, without the wait. When a question is written in the omnibox, the relevant answer will now appear in address bar, saving your ever-stretched time. Another new omnibox feature, is the alert that will appear in the event that a user searches for something which they already have open. Perfect for those of us who have more tabs open than we would like to admit, this eliminates the need for yet another to be added to the collection. The most recent update doesn’t ignore the growing demand for personalisation in tech either, enabling browsers to create and manage their shortcuts in the new tab page. But, perhaps the most exciting inclusion of the birthday update is all-new VR and AR browsing capability. The company’s push to include these advanced search methods indicates an imminent move towards the mainstream for these revolutionary technologies. And for those of you worrying, fear not, Chrome Dino didn’t miss out on the fun, with everyone’s favourite T-Rex donning a party hat especially for the occasion. As the cake crumbs settle on their seminal birthday, Google Chrome are continuing to look to the future. Planning to add to the safety of sites next month, Chrome will be making HTTPS the default and marking unsafe domains with a red warning when a user starts to input personal information. As for Chrome Dino, who know what the future holds? But with Google’s eye for innovation, whatever the next 10 years bring, we’re excited to see it.